The aim of CULTURE.CRANE SURVEY 2015 was to map the experience of European culture-providers, to gain understanding of the marketing and communication challenges they face as well as the desires and requirements they have to address those. 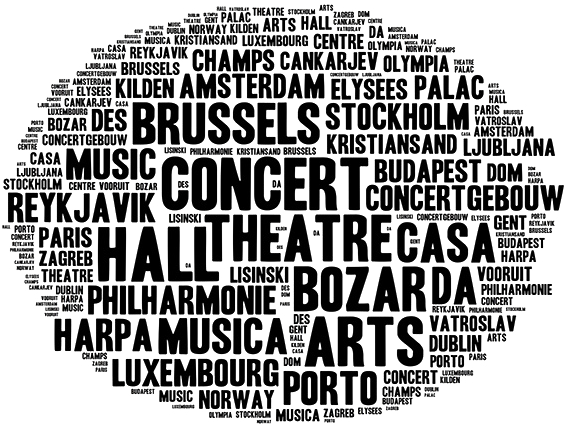 Prominent European concert halls, opera houses and theatres volunteered to be consulted either in the form of deep-interviews or online query. Methodology and questionnaire were professionally supervised by Katalin Fehér PhD – New media researcher, Head of research and innovation at Digital Identity Agency, Senior Lecturer and Researcher at Taylor’s University (Malaysia), member of public body at Hungarian Academy of Sciences and member of European Communication Research and Education Association. The findings of CULTURE.CRANE SURVEY 2015 were first shared with the participants of Classical:Next 2015 conference. Wish to receive a free copy of CULTURE.CRANE SURVEY 2015 summary?